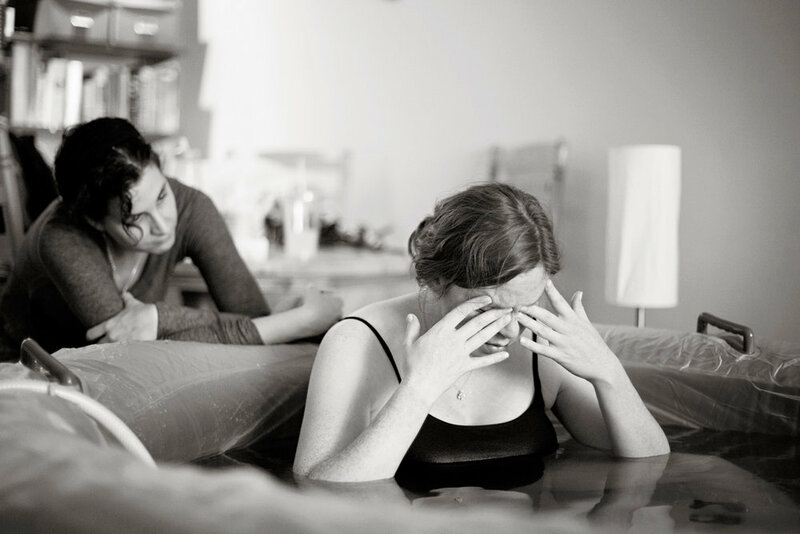 My complimentary consultations are for anyone considering birth photography. This in-person meeting is an opportunity for us to get to know each other and talk about your birth plan. Let's sit down to a cup of tea so I can listen to your hopes and fears and answer any questions you have about birth photography. If you're ready to book, you can pay the deposit and sign contracts the same day. I go on call for you when you are 38 weeks pregnant - and I stay on call until your baby is born. You'll have my cell phone number, so be sure to text me if anything happens that may indicate labor is close. Irregular contractions? Bloody show? Water breaking? These are things I like to know so I can clear my schedule to be with you when the time comes. When it comes to birth, there's no such thing as TMI. Call me as soon as labor begins – just to put me on notice. I sleep next to the phone and more often than not, this call comes in the middle of the night. We'll keep in touch until it's time for me to meet you. I usually arrive when contractions are five minutes apart, when you feel the need for additional support — when it seems like labor is really picking up. I stay with you throughout the entire process. I am quietly there, capturing the moments of strength and emotion that are part of every unique birth story. 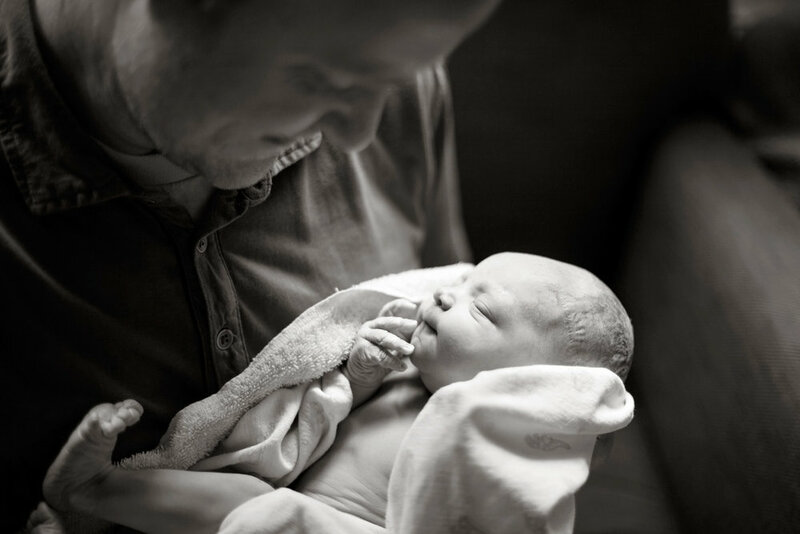 When your baby is born, you and your partner can be completely present in welcoming your little one. No need to fumble around with a camera – I've got it covered. I photograph tears of joy, relieved smiles and the sweetest newborn snuggles. I stay for 1-2 hours after delivery and then slip out the door as you continue rest and recover and soak in this precious time together. Four weeks after your birth I will post a gallery of images on my proofing site — password protected for your privacy. Each photo is hand edited and ready for printing or sharing online. Clients receive an average of 125 photographs that tell the miraculous story of their child's birth. My $1300 fee includes unlimited hours at your birth, the downloadable gallery, and a 20 page album. Your family will truly treasure these images for years to come. Contact me today to set up your free consultation - I can't wait to meet you!